QAR 3654 including 15 QAR shipping. The iPhone Xs is officially here and it’s time to find out how many of those leaks and rumors came true. Apple’s track record is quite bad at keeping things under wrap and this time it’s no different. We have already seen the phone in leaked pictures and turns out, those leaked pictures were real. To find out how much of those rumors are real and the Apple iPhone Xs Qatar price, keep reading. Although Apple has unveiled three new iPhones, this one is really similar to the iPhone X and comes with the same 5.8-inch screen. This time it’s an OLED display showing 2436 x 1125 pixels resolution, 19.5:9 aspect ratio and 463ppi of pixel density. According to Apple, this is the most durable display yet from the company and comes with IP68 rating this time for dust and water resistance. One of the major changes in design is actually the new gold finish as the stainless-steel band in that finish is also golden. Users will get glass on both front and back with improved scratch resistance. Moreover, the glass back will ensure faster wireless charging. Right after the iPhone Xs release date Qatar, it can be found in three different colors: Silver, Gold and Space Gray. On paper, things are looking quite similar compared to the iPhone X in the camera department. However, this 12-MP dual camera system comes with tons of new features according to Apple. Thanks to the new Apple processor, there will be some great features in the camera like Smart HDR for better dynamic range, advanced bokeh in Portrait Mode, advanced depth segmentation and improved low light performance. There are new sensors as well but you get all these in a pair of 12-megapixel cameras: one of them with f/1.8 aperture, 28mm, 1.4 µm pixel OIS while the other one comes with f/2.4 aperture, 52mm, 1.0 µm pixel and OIS as well. There are some improvements in it’s flash as well as this time it’s a Quad-LED dual-tone flash. As for the front camera, unfortunately it will be a similar 7-megapixel one. We will have to wait for the iPhone Xs release date Qatar to find out if there was any actual change in the camera. For those of you who are interested to get a good camera phone, there is the Samsung Galaxy Note 9 and cheaper OnePlus 6. These phones are almost in the same price range as the iPhone Xs Qatar price. This is one of the biggest changes and features of the iPhone Xs, it’s new A12 Bionic hexa-core processor. This processor paired with 4GB of RAM and 120Hz touch-sensing should offer users even smoother performance. The improvements are not just limited to offering faster performance but also offers better image enhancing, video editing support, better audio and video encoding and decoding and AR features. The Face ID will work even faster and Gigabit-class LTE is there to offer even faster internet experience and download speed. Other notable features include: bigger battery, dual SIM dual standby support, iOS 12, wireless charging and wider stereo sound. The starting price of the iPhone Xs will be around QAR 3600 . Just like the iPhone Xs Max, the iPhone Xs release date Qatar can be expected sometimes after September 21, 2018 and pre-orders will begin from September 14, 2018. It will be available in three different storage options: 64/256/512GB. If you are ready to wait a little bit longer, there is the cheaper iPhone Xr that comes with the same latest Apple A12 processor and edge-to-edge display. Now that Samsung is done revealing their flagships for 2018, it’s time for Apple to reveal its competitor soon, the Apple iPhone Xs. From what we have learned from the leaks and rumors so far, it’s safe to say that the upcoming phone will be quite similar to the iPhone X and no major upgrades are expected. To find out exactly what we can expect including the iPhone Xs Qatar price and specs, continue reading. This year, we won’t get one or two but three new models from Apple. Two of the models will be known as iPhone Xs and it will be available in two different screen sizes: 5.8-inches and 6.5-inches. Both of the displays will be OLED and it will be edge-to-edge display just like it’s predecessor. The TrueDepth camera technology will be there to offer a strong Face ID which means no more Home button or Touch ID from now on. There are rumors that the phone will have aluminum frame and not the stainless-steel frame we saw in the iPhone X to cut the cost. There will be a dual-SIM version available in some countries but not everywhere. Right after the iPhone Xs release date Qatar, it can be expected to be available in Space Gray, Silver and Gold color. One of the major changes other than two different screen sizes is the new Apple A12 processor inside. This processor will be included in both the versions and users can expect faster LTE connection thanks to the improved LTE chips. This new processor paired with the new iOS 12 will definitely bring some improvements in the performance and we will have to wait for the iPhone Xs release date Qatar to find out how this competes with the current flagships like the Samsung Galaxy Note 9 or OnePlus 6. According to some of the leaks, this should offer 10 percent faster performance compared to the old A11 chip. There are also rumors that these phones will have 4GB of RAM. Although most of the latest Apple flagships offer a decent battery life, we are yet to see fast charging support from Apple with whatever accessories we get with the phone out of the box. This time, there are rumors about Apple planning to ship these new phones with an 18W USB-C power adapter. This will be paired with USB-C to lightning cable to offer users fast charging feature. A bump is also expected in battery life as the 6.5-inch version is rumored to pack a 3300-3400mAh battery. As for the smaller 5.9-inch version, it will show up with a 2700-2800mAh battery. Some of the other noteworthy rumors include wireless charging support and Apple Pencil support. It has been also reported that there may not be a lighting to 3.5mm headphone jack adapter this year included with the phones. 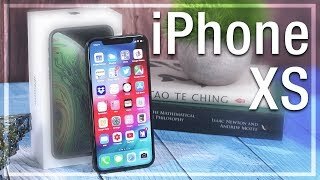 We were hoping to see some major improvements in the camera but we haven’t learned a lot about the camera and it might be the same camera we have seen in the iPhone X with some improvements. If you are in the market for a good camera focused phone, there is the Google Pixel 2 XL and Huawei P20 Pro you can check out. Unlike the iPhone X, the starting price of the iPhone Xs is expected to be range from QAR 2900 to QAR 3300 . The cheaper LCD version which is rumored to be titled as the iPhone Xs Max will cost around QAR 2400 . Nothing has been officially revealed at this point so we will have to wait for the official announcement and the iPhone Xs release date Qatar to find out more. 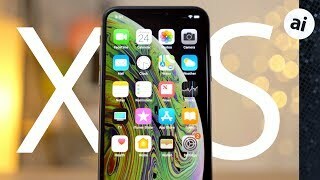 The honest iPhone XS Review..